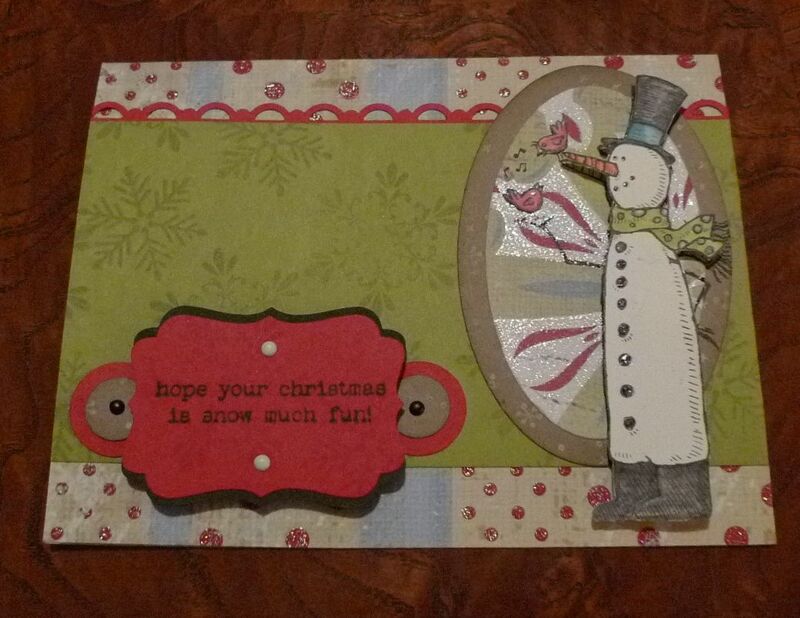 I wanted to show you a card that my friend & downline Regena made. She loves to stamp and makes amazing projects!!!! This card is not all Stampin'Up products so I can't give you the recipe for this card however she used the snowman from Snow Much Fun. I love how it's cut out and popped up!!!! We have glitter paper in the Holly Berry Bouquet Designer Series Paper Package so I should be able to create something similar. 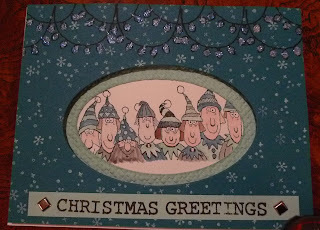 She also made this cute card with the Holiday LineUp stamp set. 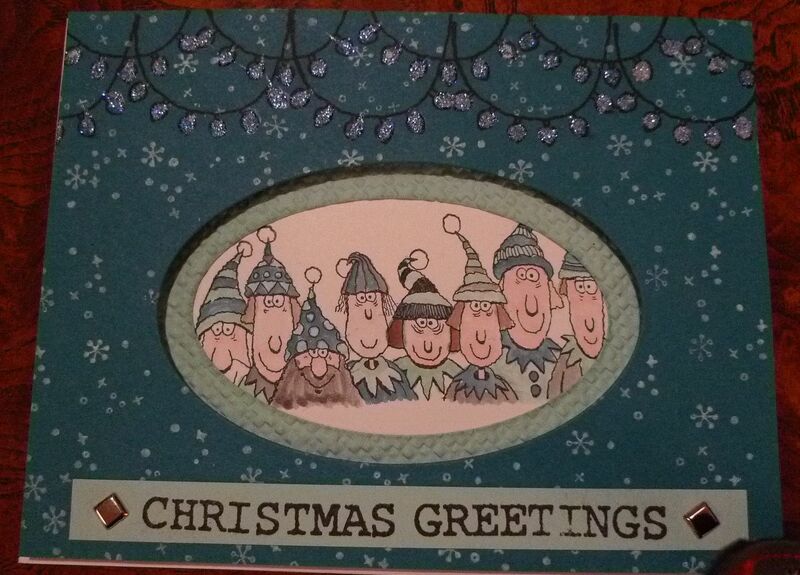 I keep calling them Jingle People. I think they need a new name. Anyway, I love the ovals and the colors she chose for her card.